The DMM Mantis belay device is an incredibly lightweight, high-performance all-round belay device for use with either single or half ropes where direct belaying is not required; perfect for the climbing wall and general cragging. The classic belay device made better, the DMM Mantis belay device features the same top-spec internal geometry as the Pivot: carefully sculpted rope grooves offer a greater grip on ropes from 7.3mm to 11m, the rope slots allow easy loading, and the rear of the device ensures adequate lift-off for snag-free paying out. 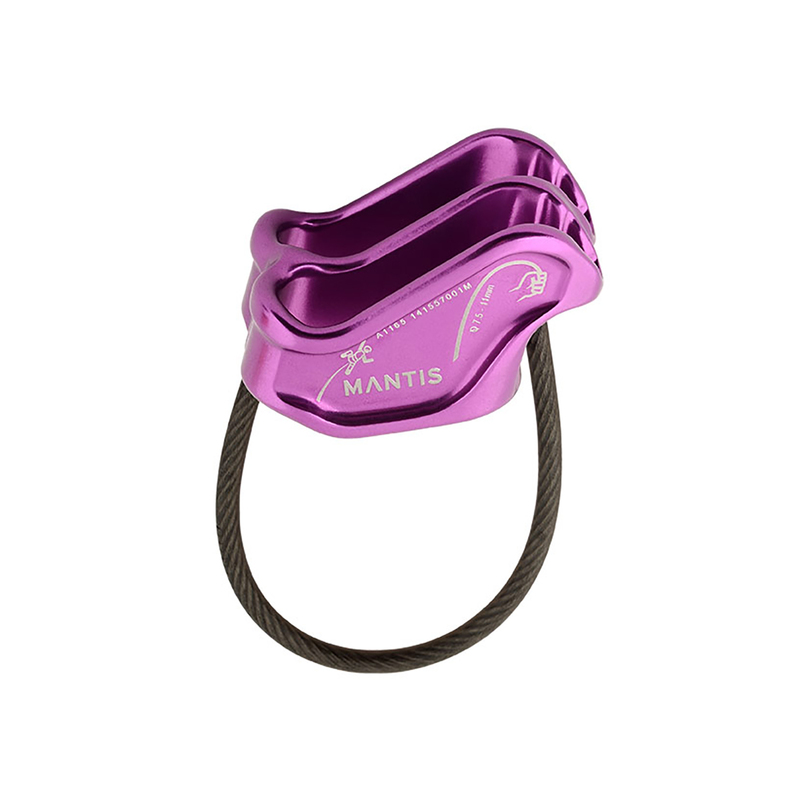 If you're after a versatile belay device that won't let you down (apart from when you're rappelling), the Mantis is what you're after.